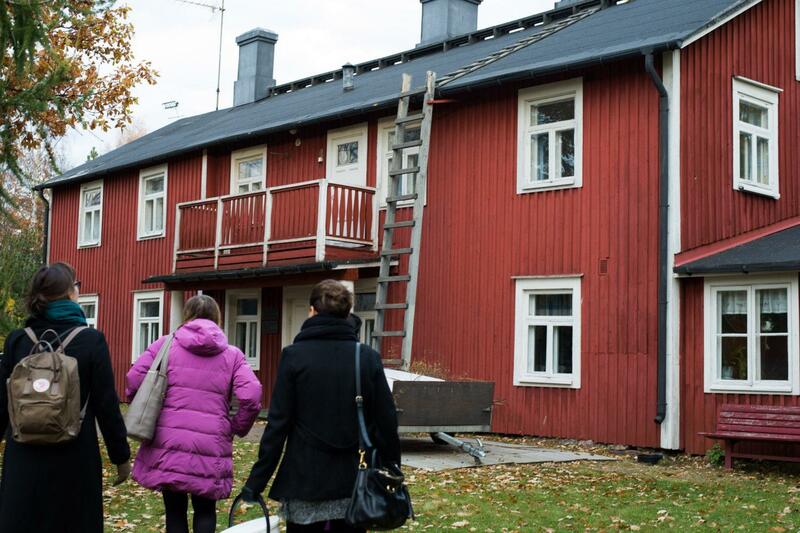 Kone Foundation purchased the Lauttasaari Manor from the City of Helsinki last September. In February, we sent a questionnaire to our grant recipients asking them for suggestions and ideas for future activities. Others interested in the topic were also welcome to answer the questionnaire. It was a joy to read the answers. Suggestions and ideas about the future activities and facilities of the renovated Lauttasaari Manor were along the same lines as our initial plans here at Kone Foundation: most respondents repeated the wish for interaction and encounters. Satu Sirén, a student of Cultural Management, processed the answers and analysed the results thematically. Next, we will tell you about the results of the questionnaire and share our ideas regarding them. We would like to thank all the respondents, you gave us many great ideas. We would also like to thank Satu for the analysis. We are still working on the ideas, although the main features of the architectural plans are almost finished, and you can still send us your ideas using the form at here. Most respondents wished for facilities suitable for different numbers of participants in the Manor for organising workshops, events, brainstorming sessions, discussions, concerts, cinema viewings, dance and other performances – and not forgetting traditional seminars. It was clear that the facilities should not be for artists and researchers alone, instead, artists and researchers could use the facilities to talk about their work and present their projects to the public in the form of Pecha Kucha presentations, kids’ workshops or other popular science formats. The respondents also wished that the Manor could become a meeting place for civil society actors, researchers and artists. Another idea that was expressed strongly was that in the Manor, participants could get more involved than in “regular” events, where there tends to be a speaker who speaks and others who listen. Understanding others and encountering people living in different social realities were among the responses, such as opportunities for discussions with refugees. Many respondents wished for opportunities to show unfinished works through events such as work-in-progress performances that could be aimed at other professionals or perhaps at anyone interested in the topic. Many respondents expressed the wish for multi-purpose facilities that are adaptable and interactive. The furniture should be easy to move, relaxed and not too expensive. Examples included beanbags. In terms of equipment, the facilities should be diverse and easy to use. Again, interaction was held high in the responses. The facilities should be adaptable and suitable for diverse users, including movable screens, exhibition walls and blackboards. This also involved ideas of facilities that can be divided in various ways. Our idea is that the facilities would be suitable for events, but also for various exhibitions showcasing the work of researchers and artists. The questionnaire showed that the facilities should also be suitable for showing video installations. The walls and ceiling should be fitted with fixing points, for example, to make them suitable for exhibitions and workshops. Our plan is that in addition to staff work spaces, the Manor should have work spaces for a few Kone Foundation grant holders. It seems that we will not be able to fit in too many individual work spaces for grant holders in the Manor. With reference to work spaces, the social aspects and the need for a private work space were combined in the wishes, with some respondents stressing the need for a quiet work space. The multi-purpose space planned for the ground floor of the Manor will be suitable for temporary work use as well as for events and workshops. Height-adjustable desks, natural light, individual lockers, and bookcases were also mentioned. Some respondents wished for a workshop suitable for “messy and dusty work”, but unfortunately the Manor is unlikely to include that or sound-proofed facilities for singing and music. Someone also asked for a resting room with a bed or a hammock for taking a nap in order to re-charge batteries for more creative work. In line with modern technology requirements, the Manor should have working internet connections and an adequate number of power points. Many respondents also wished for a wireless network. We intend to make the Lauttasaari Manor suitable for the electrosensitive. We are currently considering whether it should be possible to have space-specific Wi-Fi connections that can be turned on and off. In any case, the entire building will be fitted with optical cables which enable fast internet connections. In addition to adequate internet connections and power points, respondents also wished for regular presentation technology including a data projector, and the multi-purpose facility will obviously be equipped with such essential technology. It may also be possible to equip the facilities with light-weight theatrical equipment. Other equipment discussed in the responses included a film projector, documentation equipment, a lighting desk used in theatre productions, and virtual reality and augmented reality workshops. The Manor will be able to accommodate a variety of activities and facilities, but, due to the low ceilings, it is impossible to build small, adaptable and dismountable steep-rising stalls, despite the wishes of one respondent. Specific challenges are involved when modernising buildings of historical significance, especially as we at Kone Foundation are keen to preserve this valuable piece of architectural history. For example, we want to restore some of the original room layout and the original murals and frescos. Our general principle is to renovate the building with the best interests of the building and its users in mind. In any case, the multi-purpose/seminar space on the ground floor of the Manor will be adaptable and more relaxed and modern than the rooms upstairs. We want a space designed to promote interaction between different researchers and artists and to make science and art accessible to the general public. Many respondents wished for a lounge-like space, and we feel that it can be realised in this space. The space will also be ideal for concerts, as will the hall upstairs which may acoustically be more suitable for musical performances. Some respondents also suggested having a piano in the Manor. Other popular suggestions included a sauna, retreat, yoga, mindfulness exercises, meditation and other activities aimed at calming and spiritual well-being. Accessibility was also mentioned in several answers. We have defined accessibility as one of the values guiding the planning from the very beginning of the project. For Kone Foundation, multidisciplinarity is important, along with bringing together actors from various fields of science and art. That is why it made us especially happy to read suggestions about bringing to the Manor activities that bring together people from different fields and take down “mindless dividers”. One respondent suggested a dating service for researchers and artists to enable them to find partners for cooperation. Several respondents made a point about events and activities at the Manor that should also be made accessible to those unable to attend them in person. Many good ways of doing this were also suggested, including a column by Kone Foundation grant recipients in the Lauttasaari magazine, live streams from events, and documentation of exhibitions and events to enable people to learn about them either in the Manor or on line. Suggestions also included remote access to the Saari Residence, the artist and researcher residence maintained by Kone Foundation and located in Mynämäki. According to our current plans, the second building on the plot, the Red Villa, will house a café incorporating a combined science-art café and a communal village hall. 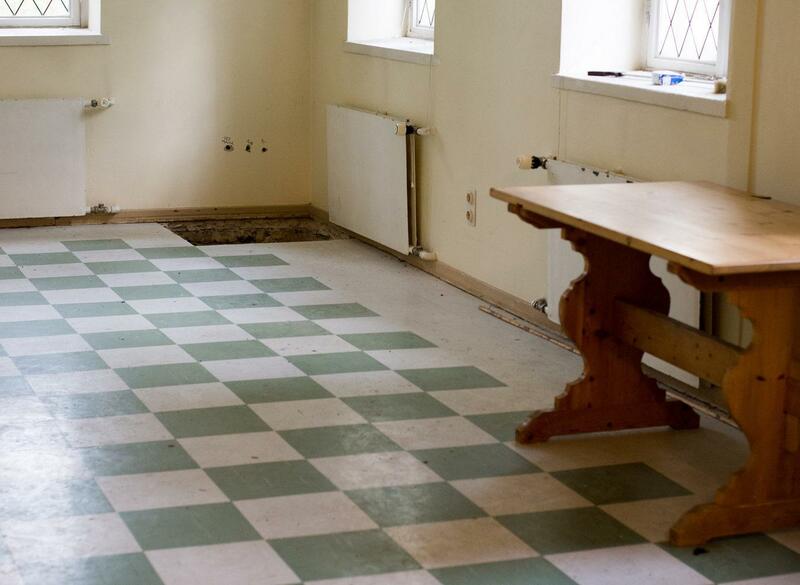 It will also house the renovated premises of the Lauttasaari Association. We also feel that it would be natural to have science and art magazines to read in the café, as suggested by several respondents. Many respondents also expressed a wish for a library, free access to academic library material often only accessible by subscription, and an opportunity to read studies and articles funded by Kone Foundation. Some respondents also suggested a café. One respondent had a fun idea of having a “café host of the week”, an artist or researcher who would bring along materials related to their work and have discussions with the local residents and other visitors. Some respondents also suggested having a duty docent. The café would also be a good place for a weekly meeting or a communal dinner, as also suggested in the questionnaire. In addition to the communal science-art café and the premises of the Lauttasaari Association, we will retain the apartment in the Red Villa. 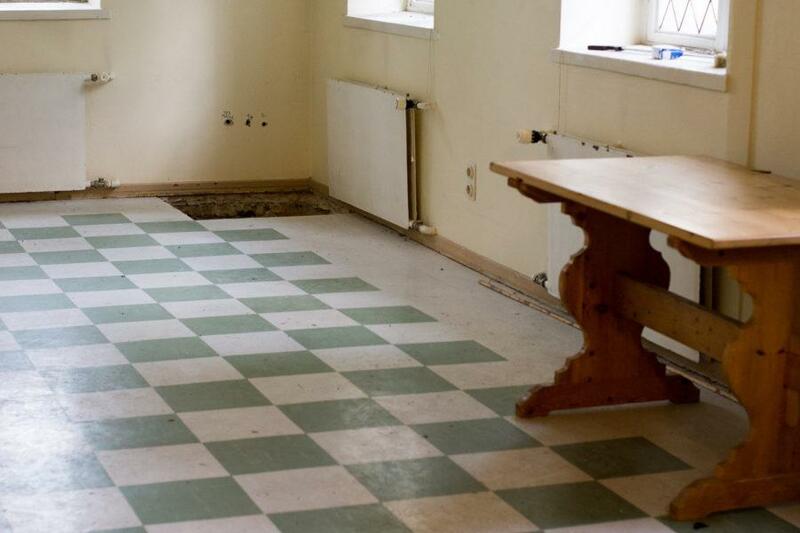 It will possibly become a short- or longer-term residence for a researcher or artist. We received a number of fantastic ideas for the use of the yard, ranging from summer fêtes and live action role play with a local history theme to communal voluntary work and communal farming. We will be organising a variety of events in the park, and purchasing a marquee to provide cover on rainy days would be a good idea. The park will be restored according to the 1920s garden plan by Bengt Schalin, as recommended by the Helsinki City Museum. According to the City, a communal garden is not suitable for a manor park, but some fruit trees may be possible. We’ll see whether the park will play host to outdoor cinema, traditional dance evenings or barbecues, or maybe there will be a multi-sensory art path for the seeing and hearing impaired, a pop up science or art park, energy-production-related keep-fit equipment, or small wind power plants, as suggested by the respondents. Someone also suggested an out-door toilet, but we think it will be all water closets in the Manor. In any case, the park will be a venue for celebrations and performances, a place for meditation and walks – and a place for encountering art, no doubt.